Fractals, Particles, Photons, & Microwaves is a single-channel 3D animation evoking the language of physics, mathematics, and quantum mechanics. Procedurally animated, the piece conveys concepts found in 'The Little Book of String Theory' by Steven S. Gubser. The flow of particles represents electrons & positrons (E) and photons (Y). Particles are animated visualizing what happens when an electron splits into anti-electrons during a cascade event (an electromagnetic particle shower). In quantum mechanical theory, a particle shower is a predictable event and suggests that an electron all by itself may have infinite charge and infinite mass, but once split, its charge and mass becomes finite. A common example of particle showers would be when cosmic rays hit earth's atmosphere from sources such as the cosmic background radiation or from supernovae. 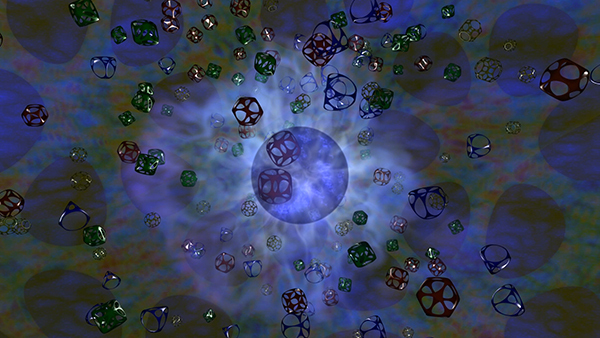 This phenomenon follows a recursive mathematical pattern and this concept of recursion is repeated in the elements within the structure of the image. 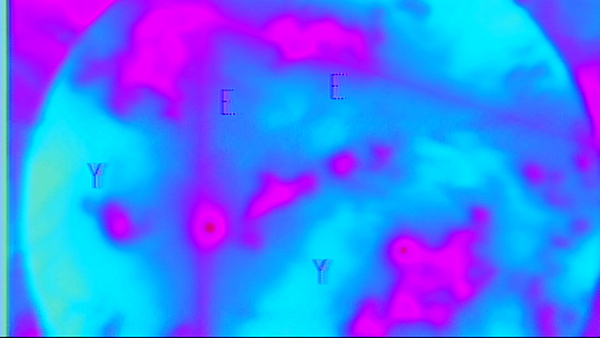 The depiction of particle showers are distorted through a Dave Jones Mini Video Image Processor (MVIP) - an analog video synthesizer commonly used in early experimental video. The wave-like pattern of the cascade segments are transformed using sine, cosine, sawtooth control instruments of the MVIP and is in stark juxtaposition to the crisp, slick, and hollow nature of 3D generated imagery. The artist would like to thank the Institute for Electronic Arts for the use of their studios for sound mastering and video effects. Special thanks to Devin Henry for MVIP assistance & Mykola Haleta for sound composition. Cloud chamber photograph by C.D. 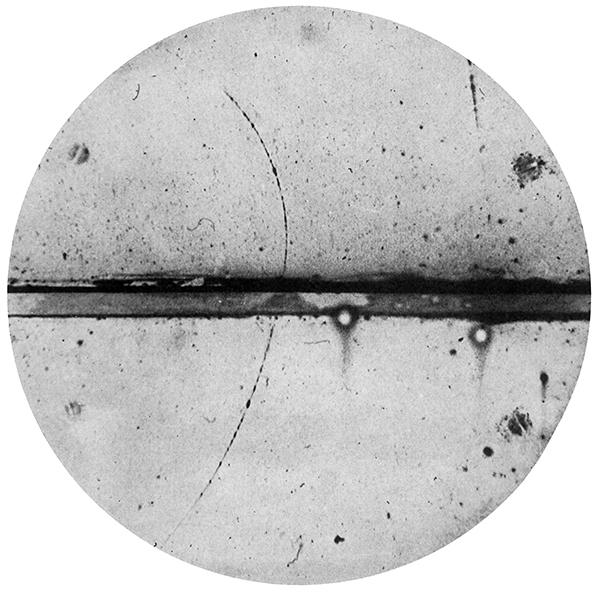 Anderson of the first positron ever identified. The deflection and direction of the particles ion trail indicates the particle is a positron.